Archaeologists have found an Inca tomb in Machu Picchu, humpback whale sightings up off the coast of Brazil, and Google to open a data center in Chile. Argentine scientists have remeasured the elevation of Aconcagua mountain in the Andes. The “ceiling of the Americas” in Argentina close to its border with Chile, now stands at 22,837 feet or 6,960.8 meters tall. The previous estimate had been 6,959.6 meters tall, but this doesn’t mean the mountain has necessarily grown in height. Scientists from Argentina’s National Geographic Institute (IGN) explained that the technology used to make the latest measurement can’t be compared with the technology used previously. Humpback whales have been sighted along Brazil’s coast in record numbers over the last few years, reports Brazil’s Humpback Whale Institute. Sightings in 2011 reached 11,418 along the coast stretching from Sergipe to Rio de Janeiro. In 2002, sightings between Bahia and Espiritu Santo were 3,396. The number of whales today, however, represents just 27% of the original population before whaling began in the 17th century, says Marcia Engel of the Humpack Whale Institute. A new Inca tomb has been unearthed near Machu Picchu in Peru. Credit: Fernando Stankuns via Flickr. Google will be opening a data center in Chile to serve as its first regional hub in South America. The center should speed up connection times for Latin American users and will cost $150 million. Google chose Chile for its infrastructure, its competent workforce, transparent regulations and business-friendly environment, reports Chilean newspaper La Tercera. Ecuador’s minister of tourism has proposed limiting the number of tourists that can visit the Galapagos Islands annually. In 2011, 185,000 people visited the Galapagos, while thirty years ago the islands had 20,000 visitors. The number of residents on the islands has risen to 25,000 in 2010, as compared to 1,300 in 1950. “We’re close to the limit, because these are islands that are very fragile,” said the minister. “The Galapagos is becoming a victim of its own charm and beauty,” says Scott Henderson, who works for Conservation International and lives on the islands. Many people who move to the Galapagos to work in the tourism industry aren’t attuned to living in a world heritage site, Henderson says. Mexican authorities have announced that the numbers of olive ridley sea turtle (Lepidochelys olivacea) are rebounding. Juan Rafael Elvira Quesado, the Secretary of the Environment, announced the success of a conservation program at La Escobilla beach in Oaxaca state in southern Mexico. The announcement comes on the heels of a report of 24 olive ridley turtles found dead on a beach in Oaxaca, whose deaths have been linked to an oil spill. 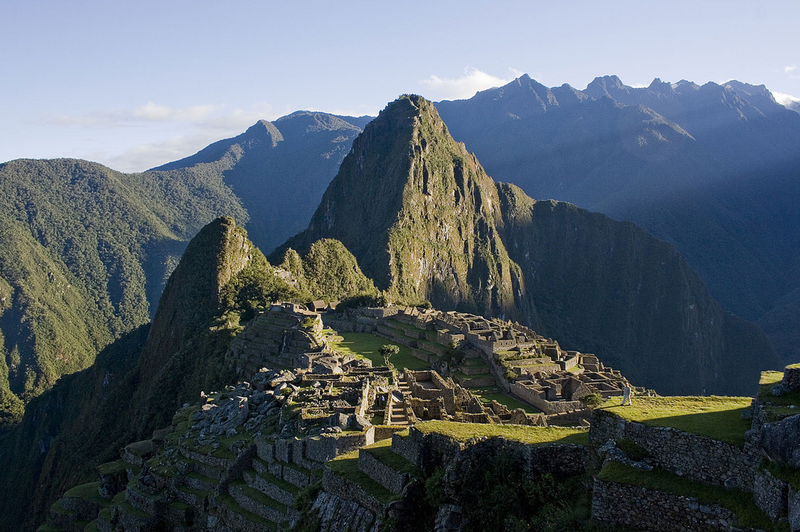 Archaeologists have unearthed an Inca tomb outside Machu Picchu in southern Peru. Hidden high in a cliffside within Machu Picchu archaeological park, the tomb measures 1.2 meters deep and 75 centimeters wide. “It’s the only of its kind, because all the tombs in Machu Picchu were discovered by Hiram Bingham,” said Fernando Astete Victoria, the director of Machu Picchu archaeological park. Astete Victoria told Peruvian news agency Andina that the tomb was built for an Inca of high social status due to its fine construction. Astete Victoria said that researchers would soon determine the tomb’s age.